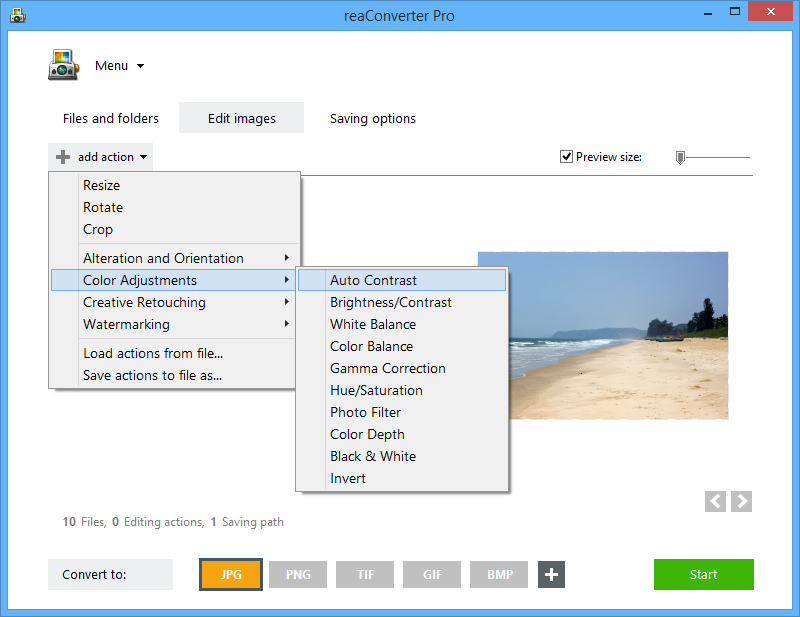 Correcting photos that are too dark or too bright due to inadequate contrast can be done in no more than a few seconds by using reaConverter's Auto Contrast feature. This powerful software automatically observes and adjusts problems connected to color contrast, optimizing color balance and making the image look better without the need of manual changes from your part. Here is how it works. Load one or more images that need editing. 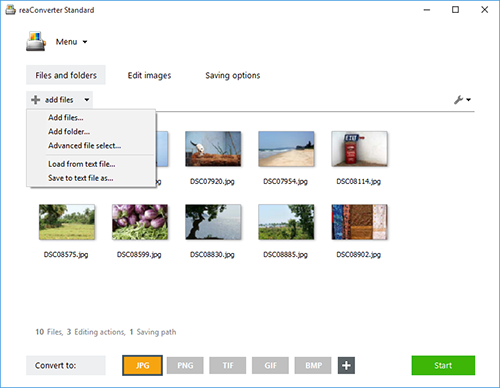 You can use the drag-and-drop tool or browse local folders to pick them manually. After selecting this option, the color contrast in your images will be automatically corrected. You can check the real time effect by ticking the Preview button from the right side of the window. Go to the Saving options tab to pick the location and format of the output images. You can choose among a wide variety of extensions and save them both offline and online. Finally, click the Start button and your new images will soon be ready! Command-line auto contrast tool is an advanced feature meant for professional use, and is available in Pro edition only.